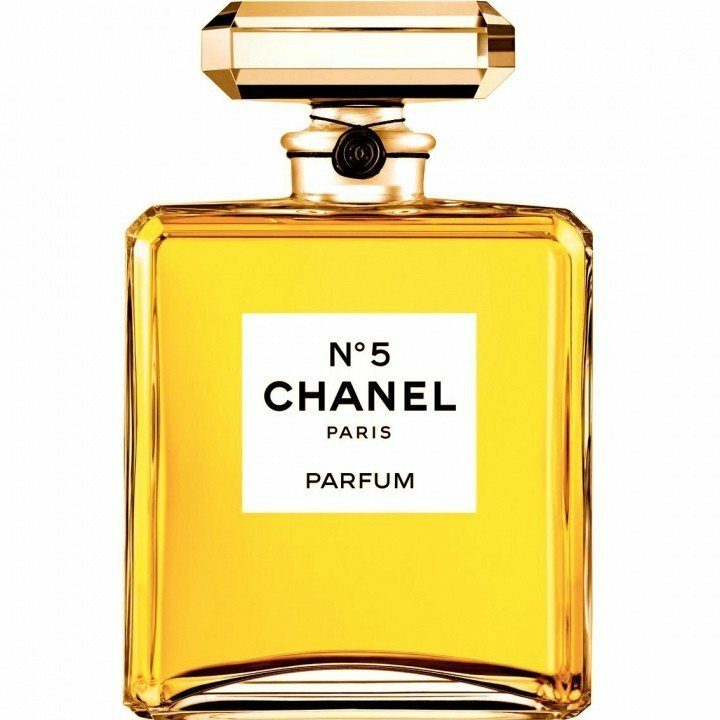 N°5 (Parfum) is a popular perfume by Chanel for women and was released in 1921. The scent is floral-powdery. The longevity is above-average. It is still in production. since then I know what winter is. Cloudy days, grey and dreary. The first lines of a lyric come to mind. How else can you describe a classic? Like a love you miss when you don't have it anymore? And as much as I like to smell Chanel no 5, I can't wear it myself. This fragrance is actually for woman of the world. Romantic, Thoughtful, Serious, Calm. My goodness, I love him! It's powdery, full, lasts for hours, you recognize it immediately. He nestles up to the wearer and makes her exclusive. Never cheap or mainstream, always perfect. And that's why I just can't wear it. I'm not writing long, not much, here (but I've been reading enthusiastically for some time) and would describe myself as an untrained nose for smelling essences and therefore also as a perfume for laymen. But that's not the reason for being a perfume philistine. 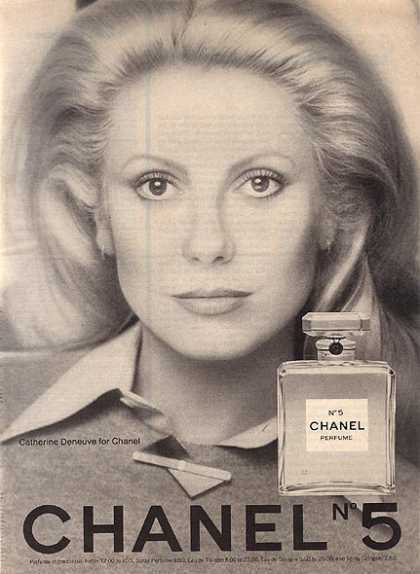 My personal preferences lie in the 70s, 80s and 90s, when perfumes, regardless of personal preferences and tastes, really still had a high recognition value. Even fragrances from lower price categories I often feel more beautiful and better in retrospect than some of today's "little waters" for which you should also impudently spend a lot of money. Yes, I clearly belong to the "mourners" who are constantly mourning for fragrances that are no longer available for purchase. Yeah, and I'm always on ebay hunting for vintage minis. Mind you, Minis. Normal fillings, which are often offered at horrendous prices, are too high a risk for me, which my wallet would take very badly if the dream fragrance is tilted. But, sorry to all lovers of Chanel No 5, this has never been there during my hunt. "One bottle long," I used it. An autumn and winter in 2003/2004. Actually, in retrospect, but at that time at least almost in my mid 40s, not really convinced either and perhaps even carrying a cloud behind me that was unbearable for others. Was it my job in one of the most conservative industries that exist to date ? Because that's what I associate with Chanel No. 5, "disguised" conformity. People who reveal nothing, absolutely nothing of their personality. Yes, with the smell of Chanel No 5 I have the idea of an absolutely opaque, at least to the outside of any emotion, immune woman. No joy, no sadness, no passion, no exhilaration, no sexiness, no playfulness, no casualness, no charm and no esprit. Chanel No 5 expresses for me the absolute "Contenance". The absolute in the negative sense. For a woman who in the most positive case, perhaps at least on her deathbed, recognizes that she has made mistakes in her life and missed something. To be authentic and not only adapted and following conventions. A currently still living woman would be Queen Elizabeth, who would occur to me to Chanel No 5. One criterion meets Chanel No 5 in any case. A criterion which is also so important to me with my love for vintage fragrances. 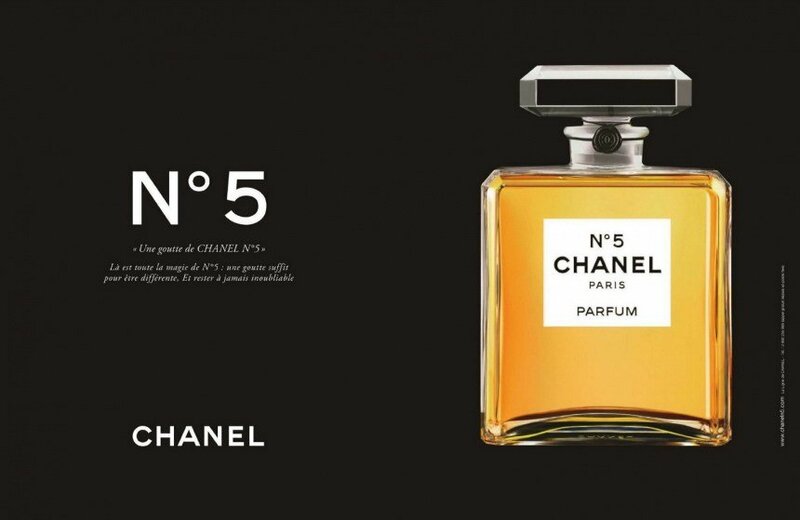 Chanel No 5 is unmistakable. But for me in the memory meanwhile as horribly unmistakable. Sorry for all fans of this classic fragrance. But I personally can not understand the hype and also the longevity of this fragrance. Whereby also I love smells, which are taken up surely into the hate list by others. L'Eau de Monteil by Monteil is for me personally, for example, a scent from the aquatic direction, which many find quite terrible. And I personally love him. Fragrance preferences can be so different. And I find that exciting and great. Dear people here, I am very amused about all these serious reviews of Chanel No 5, probably the most famous perfume so far. I got to know it (as an adult) by smelling something and... i was looking for the kid to hold a glass of soda under my nose. I mean this sherbet powder that was dissolved in water and bubbled so well. One notices, I am already over 60. 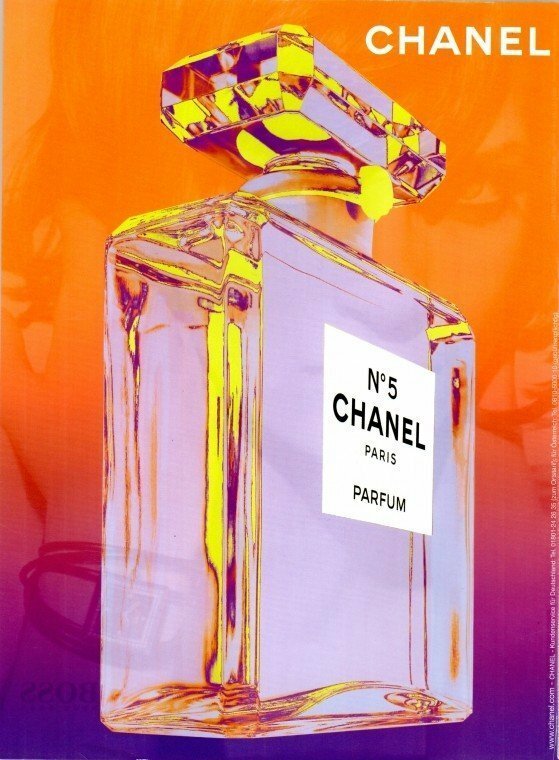 Anyway, the head, heart and base note of Chanel No 5 is just this for me: Effervescent. It doesn't smell bad, but it's not a perfume fragrance. 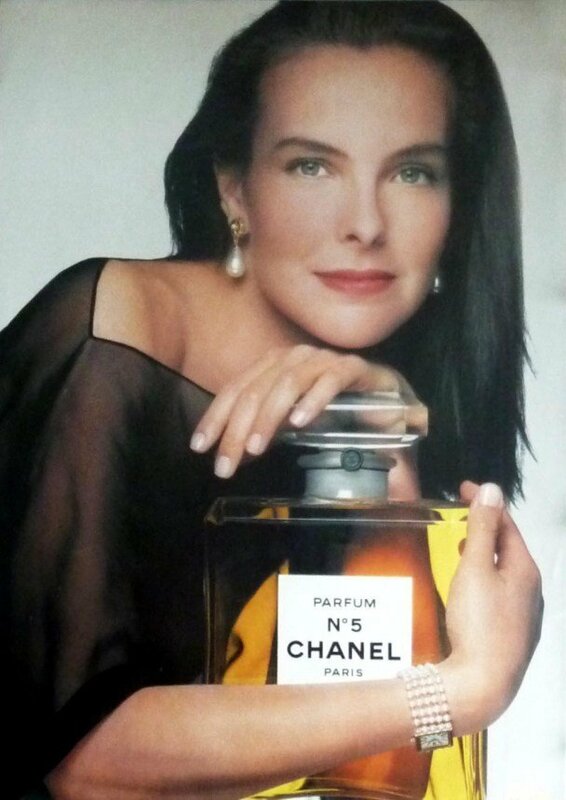 And if everyone had a nose like mine, this perfume would have been a giant breeze and not the bomb for decades. That's what I wanted to tell you. Good thing tastes are different! Gifted the Eau de Parfum, and not having tried Chanel No. 5 for years, I only slowly remembered why I don't own a bottle. It was like being in the early stages of a second labor and only gradually remembering what labor pain feels like, too late to escape. At first this rich, powerful floral lay grandly on my skin like the diva it is. Then something went wrong. I felt a little dizzy, then headachy then nauseous as too late I remembered. Oh, crap! It's the aldehydes. Soon I was so sick I had to get up and vigorously scrub the scent off. I didn't feel well again for a while. Until the next day, really. Next time I won't forget. I can't wear Chanel No. 5. 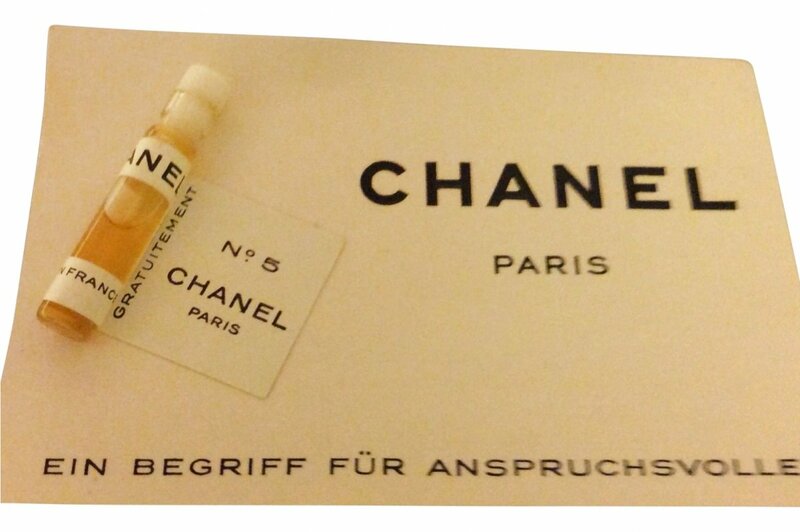 Mind you, I have nothing against Chanel or Aldehydes. Happily I wear their other aldehydic perfume, No. 22. Another aldehydic, Paco Rabanne's Eau de Metal, was my signature scent for a good while. For some reason, Chanel No. 5's bouquet of alphatic or "fatty" aldehydes--C10, C11 and C12 per Fragrantica--make me desperately ill. Were it not for them, I'd be remarking on this iconic perfume's seductively citrus and floral glory. As it is I can only report failure, so I will. I CAN'T WEAR Chanel No. 5. 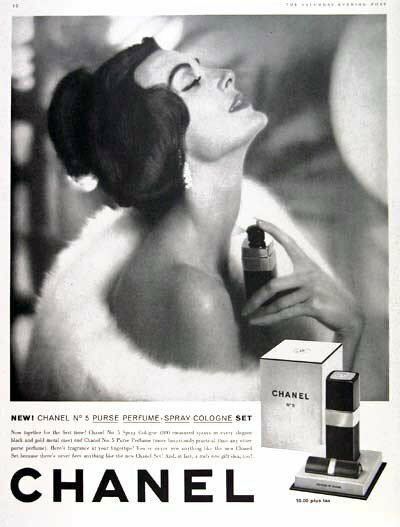 Chanel No.5 was the first perfume launched by French couturier Gabrielle "Coco" Chanel, and has been going strong since 1921. It was this fragrance that saw the introduction of aldehydes into perfumes, by the perfumer Ernest Beaux -- a revolutionary move. This wondrous fragrance is surely eternal. It was my elder sister's keynote which I remember so well from the days of my youth! Yes, I am biased -- and happily so! What can one add to what has already been said? This perfume has everything... beautiful ethereal opening tones, marvellous floral follow-through, and a charming, elegant seductively long finish that lingers and lingers. The box is starkly lovely, the bottle a simple design that gives no indication of the little miracle inside; clever! This is a 100% perfume in all respects; for many, it is THE perfume: perfection. I appreciate that many people will disagree with me but this is just my personal opinion. Had this for a while now so the other week decided to take the plunge and try it, was put off by thinking it was too classy for me. Really did not settle well on my skin, maybe too oily. First whiff was lemony which I hate so didn't help,then turned to a sort of sour flowery smell. Will smell beautiful on the right person though. A truly perfectly balanced floral done in the way only Chanel could do. It is delicate and classy as well as being alluring and sensual, as if giving off a warm glow around the person who wears it, like a soft, golden "aura" following them. It is subtle, but it compliments your own natural skin beautifully and it a natural way... as if enhancing your presence and making you feel beautiful and confident at the same time. Ernest Beaux, the genius that he was, knew women so well, this fragrance seems to work and adapt differently on each persons skin. It has universal appeal... and works well with women of ANY culture, creed or generation. There is a reason why this one is hard to beat, even after 90 years, and why it will still be around 90 years from now. Chanel No. 5 is a beautiful classic fragrance, and I've owned several bottles of various vintages. It's very nice, and classy, but am I the only one who wonders why it's so universally adored? I love the fact that my great-grandmother probably wore this, and I can too (or it's inferior current formulation anyway). This is a very good perfume, but I suppose it's like clothes that everyone else wears or bands everyone loves, I may like them, but they'll never hold the spot in my heart that some strange gem no one else knows about will. She was Hannah, born into relative poverty, in 1888. Her eleventh child, my Mother, was born in 1927. 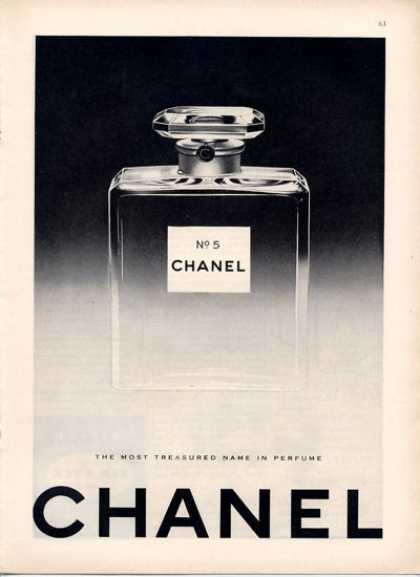 No 5 Chanel, the perfume, was six years old. Hannah was approaching forty, a time when levels of the fatty acid, palmitoleic, rise sharply in our systems. By the time a human body reaches seventy the amount of palmitoleic acid in our systems is tenfold that of a thirty year old. The mechanisms of ‘Old People Smell’ were discovered by Shoji Nakamura, of Shiseido Laboratories, in 1999. I doubt that Hannah ever held a bottle of Chanel in her hands, although she would have seen it displayed in shops before her death in 1964. My Mother cries when she hears ‘A Daisy a Day’ on the radio, grieving for the parents she said goodbye to in 1946 and never saw again. The massive diaspora to the new countries, Canada, Australia and New Zealand had begun. I don’t need to issue forth with the history of aldehydic overdose or what Coco said about her perfume being the fragrance of a woman. I believe it is still the No 1 selling perfume in France and Europe. In my country, however, it has lost its way and has been replaced by Coco Mademoiselle. No 5 is so unpopular and so obscure I bought a bottle, my first since the seventies. When I lift the stopper to my skin I thank the Heavens for a classical education that was State funded, for the medical care received free of charge, for green grass and beaches that scallop up our coasts. Nostalgia rains on my heart for those who went before, for those who couldn’t afford what we take for granted. This is what No 5 means to me, rain, and tears of joy…. And as for the ignorant gits who despise Chanel No 5, wrinkle their toffee nosed honks and say 'it smells like old ladies'... get this; it is not the perfume that smells like an old person, it is our biological fate. Yes, it will happen to you. I know No. 5 for a long time - first it has been my grandma's scent. When she died my mum used to wear it. I put a drop on each arm. Just to see, what is going to happen on my skin. Flower madness and aldehydes - help! My nose is burning! But only 5 minutes later, I can smell Granny - yes, that is how she smelt... Neroli and a bit of rose. Then, there are iris and jasmine. Balmy, creamy. Vetiver, amber and vanilla. This reminds me of Shalimar?! Now there is only less bringing my grandma to my mind. Although I thought No. 5 is my Granny's scent, I can imagine to wear it myself as I tasted it more often on my skin. Interesting changes - my grandma is coming back - only her smell. Amber stays. Maybe one day I'll have No. 5 in my collection. At this point I want to tell you that I only buy fragrances that appeal to me and not behause they are a cult or a must-have. To me this is the only perfume on the planet that I view as a goddess. All the other perfumes can be princesses, queens, priestesses, and CEOs, but No. 5 is immortal; untouchable; perfection. It's this perfect blend of rose, jasmine, citrus, and sweet powder that becomes something whimsical. It's perfect for every mood, every occasion (or lack thereof), every age, every woman, and all weather. It's this ubiquitous quality that gives it immortality, so I only wear it on special occasions despite the fact that I have many more expensive, strong, rich, and arguably exquisite perfumes in my possession. I feel that No.5 is truly the scent of femininity. I have found similar perfumes: Iris Poudre, Infusion d'Iris Absolut, Caleche, Arpege...but none of these seem to possess this quality that No. 5 has, a quality that I just can not put my finger on. I can't tell if it's one special note or if it's all the notes combined that makes No. 5 what it is, but whatever it is, I hope it's around for as long as I live!!! Summary: The one and only liquid in a bottle worthy of the title "Perfume"
"Women have no business smelling like aldehydes" might be the twenty-first-century equivalent of Gabrielle's famous dismissal of floral floral perfumes--at least as far as anyone born after 1980 is concerned. "Women have no business smelling like oakmoss," would be the IFRA's version, I suppose. I donned Chanel No 5 this afternoon having happened upon a bottle of the eau de parfum while looking for something else, and I have to say that I thought immediately of Zsa Zsa Gabor. Not Marilyn Monroe, with the wind playfully blowing her skirt up. 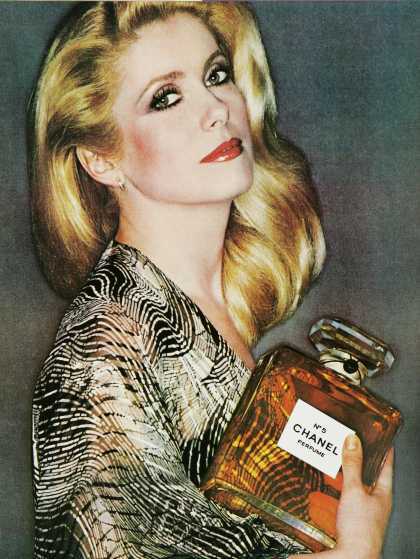 Not Nicole Kidman or any of the other recent models for this perfume, but Zsa Zsa Gabor. It smells like an old rich lady upon initial application. Apologies to those whom this observation offends. After a few minutes, however, No 5 begins to work her magic and reveal why she is adored by millions of women around the world nearly a century after her birth. In search of the "ecstatic moment" reported by so many, I decided to pull out all the stops later on in the day and dot on some of the pure parfum, of which I have a demi, having acquired the Christmastime Chanel coffret last year. Well, I'm afraid that the extrait had very much the same effect upon me. I do recall a floral-aldehyde ecstasy moment induced by WHITE LINEN extrait some time ago, but No 5 has not really done it for me. I do like it, after it has settled a bit, but I must confess that I harbor latent fears of being regarded as Zsa Zsa Gabor, should I dare to wear this perfume outside my humble abode. 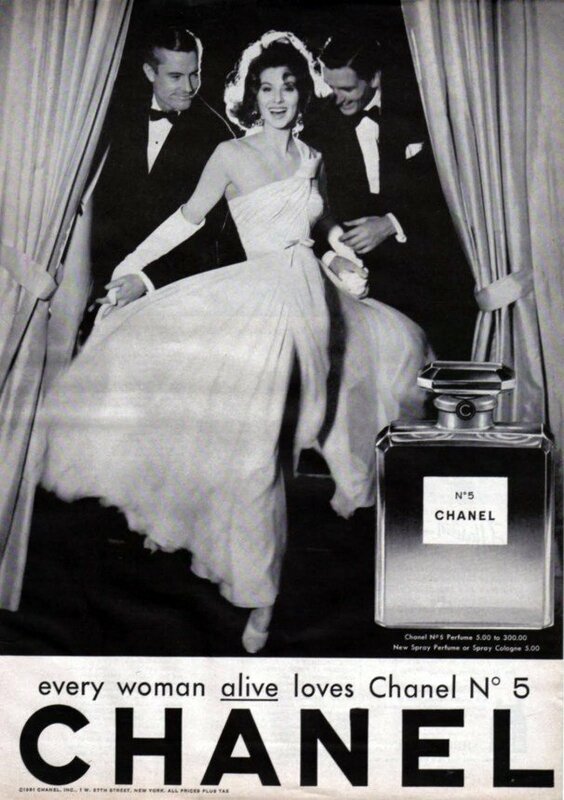 Chanel No 5 smells very twentieth century to me, which makes sense, because it is. I almost had forgotten him. And it is the memory again which the smell brings to me back. I am not getting emotional now, this wouldn't match at the time then (today spare sometimes) and looks back. 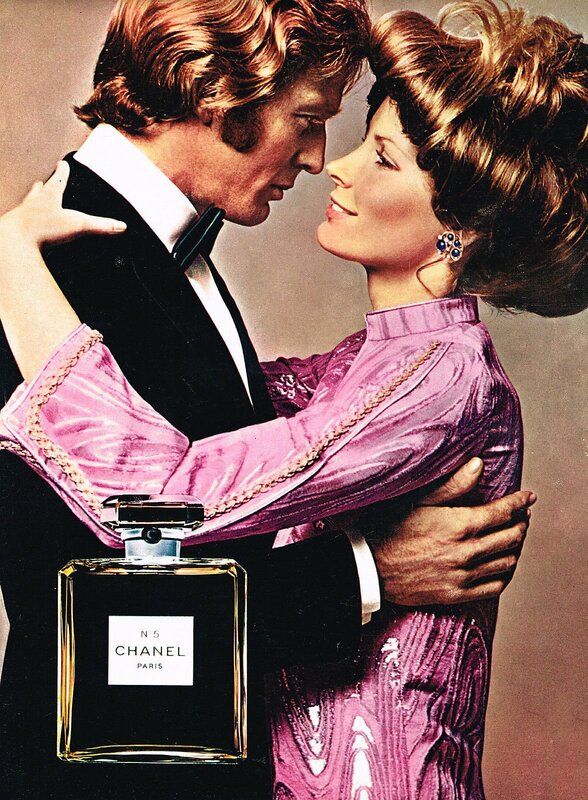 We were already married when I have bought Chanel No. 5 for myself the first time. The smell was a long companion. My husband gave him to me again later. Also he has liked him very much. A friend smiled at me at that time . . . 'the grandma smell'. She is still my friend, even a very good one. On occasion I still will reproach her afterwards! Old and grandma aren't devaluations for me. 'Old' is relative and I would like to be grandma. So everything is very well. And my rediscovery of Chanel No. 5 and the meeting of this forum is the best. and it dries down to refined woods. I Will give this a 5! This is a review of the EDP. For some reason I kept avoiding for a long time to try it on. I've enjoyed the Eau Premiere the house released a few years back, but I had never touched the original, out of an irrational prejudice that it was way too popular for my taste and thus it couldn't have possibly risen to its reputation. Happily I dared to test it on my skin about a year ago and it was love and ecstasy at first smell. It goes fantastically with my chemistry, all soft, powdery sweet flowers on a bed of creamy sandalwood-vanilla and the best part of all - a sheer veil of cold, frozen air that surrounds them. It's a true classic beauty, rich and fresh at the same time, infinitely classy and the very epitome of feminine elegance by my own definition at least. A plush, irresistible old-school charmer with an aristocratic, refined je ne sais quoi, that will always be a part of my collection. There are people complain about a urinous note in Chanel No.5 that makes them intensely dislike it and which can only be the civet. I assume this also depends on each person's skin chemistry that can either bring out or play down the animalistic civet note. 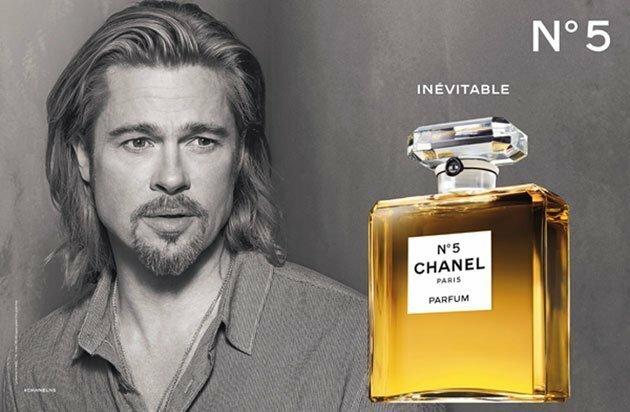 It's probably the reason why it's been said that Chanel No.5 chooses its wearers and not the other way around. For those who can't take the civet, a good alternative is the Eau Premiere which is a masterful modernization based on the same idea, with no civet and an emphasis on citrus to make it fresher and cleaner. But beautiful as the Eau Premiere may be (and it is), I feel it pales to the complexity and sophistication of the EDP. 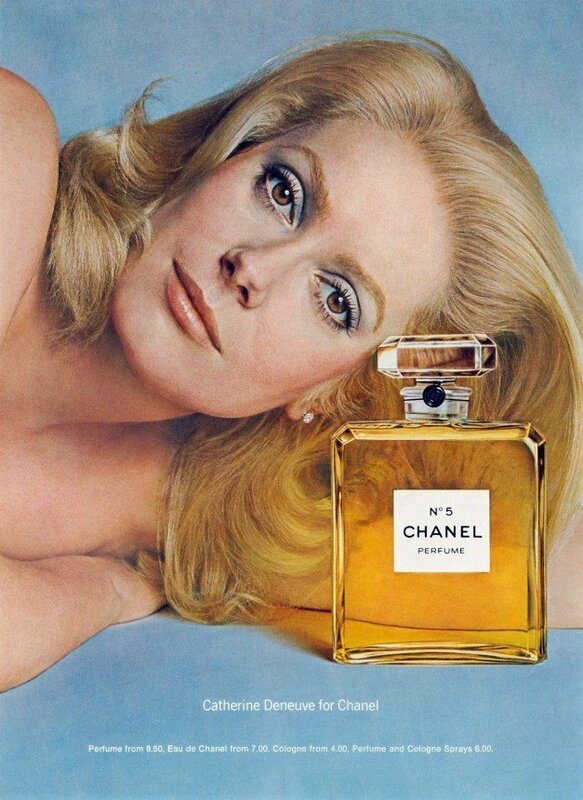 I believe that it takes a very brave person to say they don't like Chanel No.5. Unfortunately all I get from this fragrance is powder and soap. The Chanel sales assistant told me that my skin chemistry went well with this perfume, and although I had to agree that I enjoyed it to a certain extent, I know I won't be adding No. 5 to my wishlist. 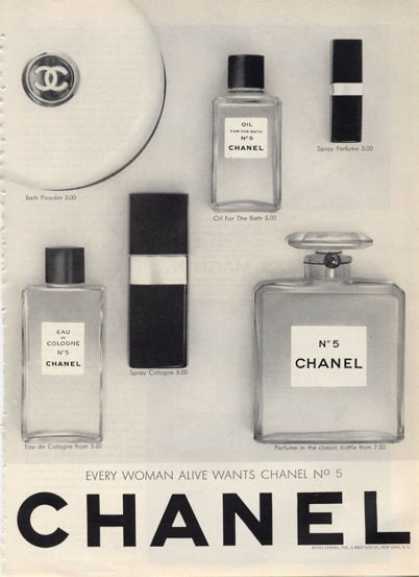 Perhaps it is my young age that makes me dislike most Chanel fragrances, but I respect them for being universally recognised and incredibly popular. This fragrance is very dependant on a person with the right skin chemistry, sophistication, class and maturity. On the wrong person it could be a disaster. 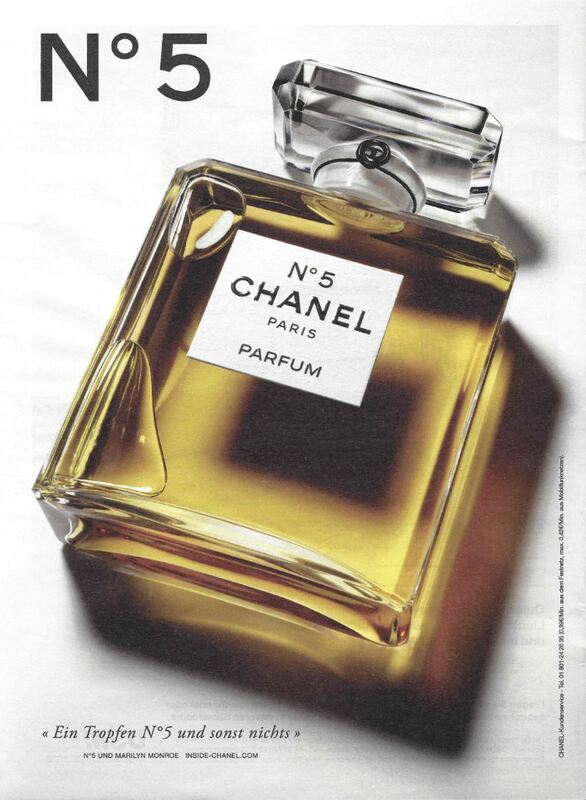 Edit: I have since come to realise that Chanel No.5 has undergone many reformulations since its release. The review is based on the batch I tested in 2009.